"A Midwinter's Tale" is set during the Church of Night's celebration of the winter solstice. On the longest night of the year, families gather around the Yule fire to sing pagan carols and tell ghost stories. The holidays are also a time for guests and visitors — both welcome and unwelcome — and you never know who'll drop down the chimney. Kiernan Shipka, Miranda Otto, Lucy Davis, Ross Lynch, Michelle Gomez, Chance Perdomo, Jaz Sinclair, Tati Gabrielle, Adeline Rudolph, Abigail Cowen and Lachlan Watson all are set to appear in the special. 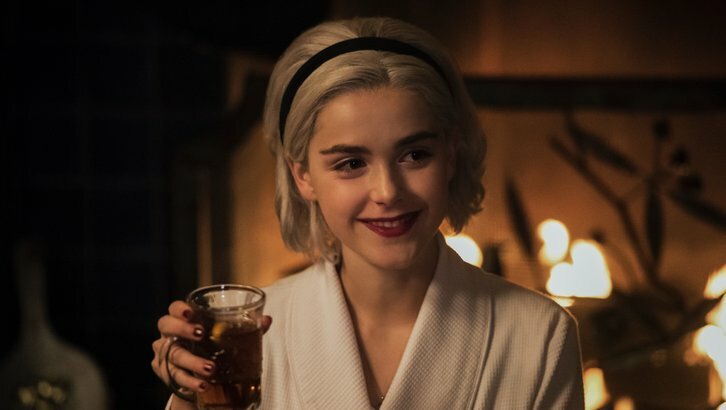 Roberto Aguirre Sacasa has announced a Chilling Christmas Aventure with Sabrina is coming. A Midwinter's Tale will debut December 14 on Netflix. Netflix also teased the episode in a special Christmas trailer showcasing all their upcoming festive features.